I know I haven’t written for quite some time. I decided to write again since I’ve done some work for hamradio community and I want to share it. As it happened lately, more and more hamradio operators switched to DMR (Digital Mobile Radio) protocol where there are already several world wide networks: BrandMeister, MARK, DMR+, etc and one way to access the network and talk to people around the world is having access to a repeater in close vicinity. The DMR protocol is not roaming friendly like GSM, 3G or 4G and basically one needs to enter a list of repeater’s frequencies into your radio in advance so that access to those repeaters will be possible. 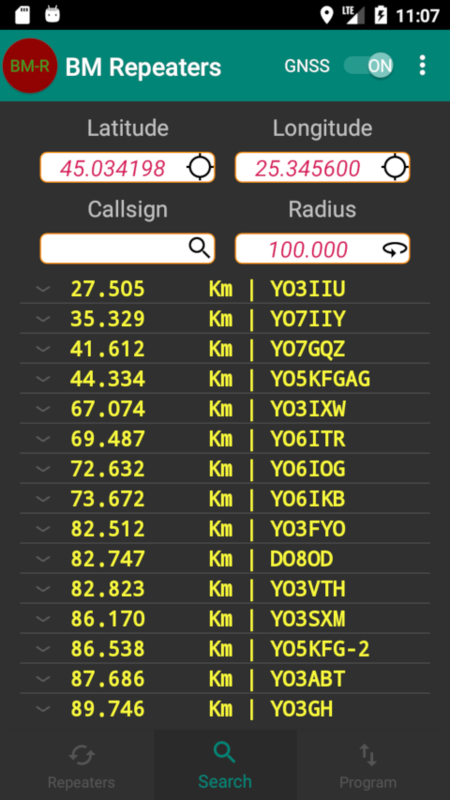 The good side of BrandMeister network is that it provides a way to get access to all repeaters list in real time and here comes the idea of having an app to choose the right repeaters based on the distance and/or radioamateur callsign. The app can be found on Google Play Store on any Android based phone/tablet/etc. 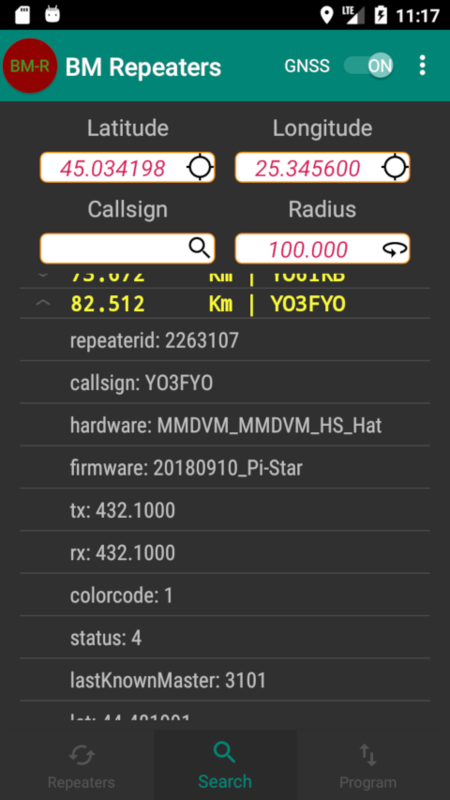 The app allows downloading the repeaters list and storing it on the Android phone/tablet so that it can be used when there is no internet connectivity in the current location.